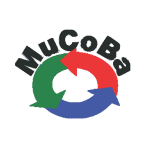 MuCoBa formerly known as Mufindi Community Bank LTD (MuCoBa) is the oldest community bank in Tanzania incorporated in December 1998 and licensed by Bank of Tanzania (BOT) in May 1999 to offer banking services to the communities of Mufindi and neighboring districts. It opened its doors to the public in June 1999. MuCoBa was formed as a result of increased demand for financial services within the district. The bank listed 8,156,423 shares at an opening price of TZS250 per share in 8th June 2016.